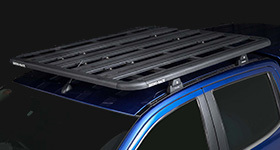 The Rhino-Rack Ski Carrier can carry up to 2 pairs of skis. 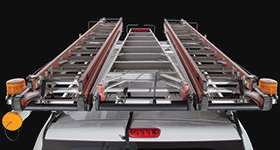 Rhino-Rack's Multi Purpose Holder simply and safely transports long thin cargo on your Whispbar system. 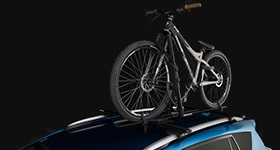 The Rhino-Rack Ski and Snowboard Carrier can hold up to 3 pairs of skis or two snowboards. 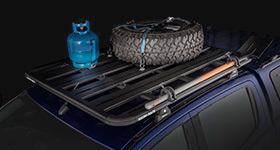 The Rhino-Rack 574 Ski and Snowboard Carrier can hold up to 4 pairs of skis or 2 snowboards. The Multi Purpose Holder is great for all adventure seasons. 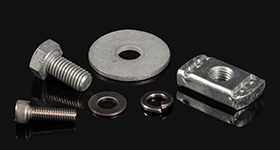 Easily transport long thin items on your Euro Bars. 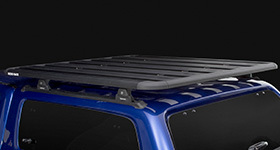 The Rhino-Rack 576 Ski and Snowboard Carrier can hold up to 6 pairs of skis or 4 snowboards.